What role has Japan’s leadership played in conditioning Chinese policy towards Tokyo? If you missed it earlier this week, I recommend reading Zachary Keck’s analysis of the factors that have driven China in recent years to harden its stance on Japan’s imperial past and its contemporary military policy. Zach’s piece paints a compelling picture of China changing its policy towards Japan due to two primary circumstances: China’s rise in material terms, and more importantly, a shift in the source of the Chinese Communist Party’s (CCP) legitimacy from Maoism and Marxism to Chinese nationalism in recent years. Both these factors do a good job of explaining the Chinese side of the equation, I think, but what about actual changes in Japan that have taken place over the past two decades? Is this change in Chinese policy an endogenous initiative or a reaction to external factors, including the shifting tides in Japanese politics? While it may seem like Shinzo Abe’s nationalist rhetoric gives plenty of reason for Chinese leaders to criticize Japan, it would seem that China’s skepticism regarding Japanese intentions is only coincidentally justified by the fact that Abe is in power. Abe has been back as Japan’s prime minister since December 2012. Chinese skepticism of Japan has certainly ticked up in that time, but it would probably have done so had Abe not been elected. Prior to 2012, the Democratic Party of Japan was in power. Its three prime ministers, Yukio Hatoyama, Naoto Kan, and Yoshihiko Noda, wanted to recast Japan’s foreign policy towards China and the United States, but ultimately they failed — following Hatoyama, Kan found himself inundated with domestic crisis after crisis as he presided over the prime minister’s office during and following the 2011 Tohoku earthquake and tsunami. The DPJ’s time in power, admittedly, isn’t the place to look for an answer for how Japanese leadership may have affected Chinese policy. As Zach discussed in his piece, it was largely the Yasukuni visits made by LDP politicians and prime ministers that began to draw a serious reaction from China. 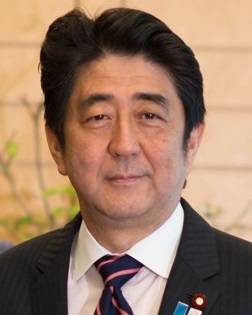 Junichiro Koizumi, prime minister of Japan from 2001 to 2006, visited Yasukuni during his time in office with no significant negative consequences for Japan’s ability to engage in productive diplomacy with Chinese leaders. Today, high level diplomatic contact between Chinese and Japanese officials is rare, and Shinzo Abe lacks access to Chinese leaders. Both the Jiang Zemin and Hu Jintao generations of Chinese leadership did not decide to alienate Japan. Xi Jinping, however, inherited a China that had arguably already “risen” within Asia and had surpassed Japan in terms of GDP. Xi saw the need to elevate China further in Asia. Indeed, it is under Xi Jinping that China has grown most critical of Japan and has backed up that criticism with diplomatic isolation. As Zach noted, China has good strategic reasons for doing this. Ultimately, it doesn’t make a difference that it is Shinzo Abe, the perennial Japanese nationalist, who is in power in Tokyo. China’s push towards criticizing Japan over history has little to do with the nature of the Japanese leadership itself and more to do with China’s own national interests. If anything, Abe’s leadership in Japan is likely to help this trend in Chinese policy towards Japan continue by giving Beijing reasons to remain skeptical of Japanese intentions in Asia. Diplomatic Update: Where Are Japan-China Relations Headed? Are Japan and China coming together or heading back apart? Ankit Panda and Shannon Tiezzi discuss recent developments.